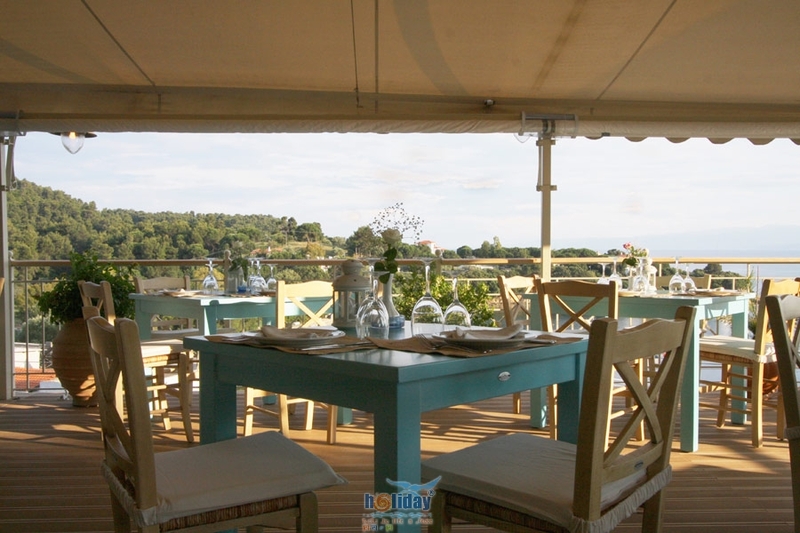 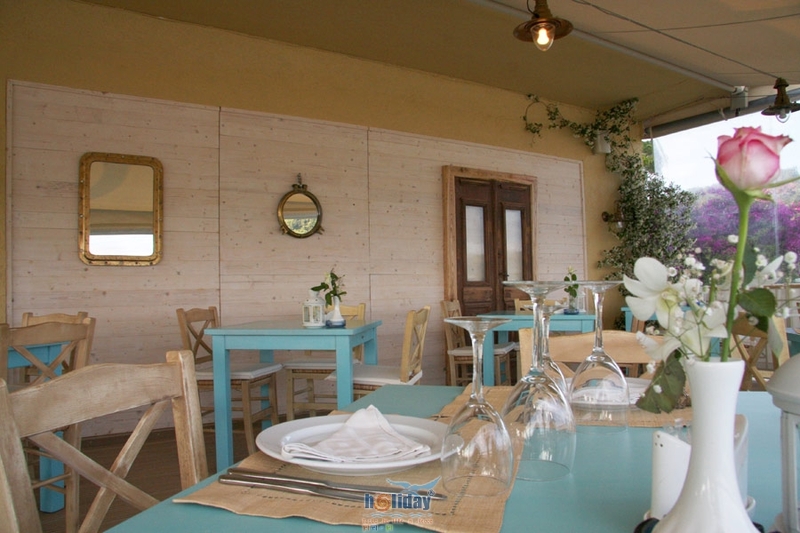 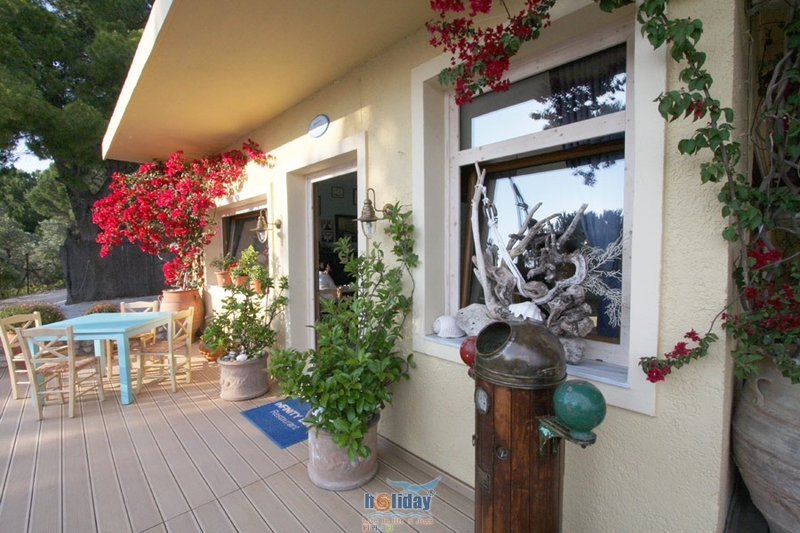 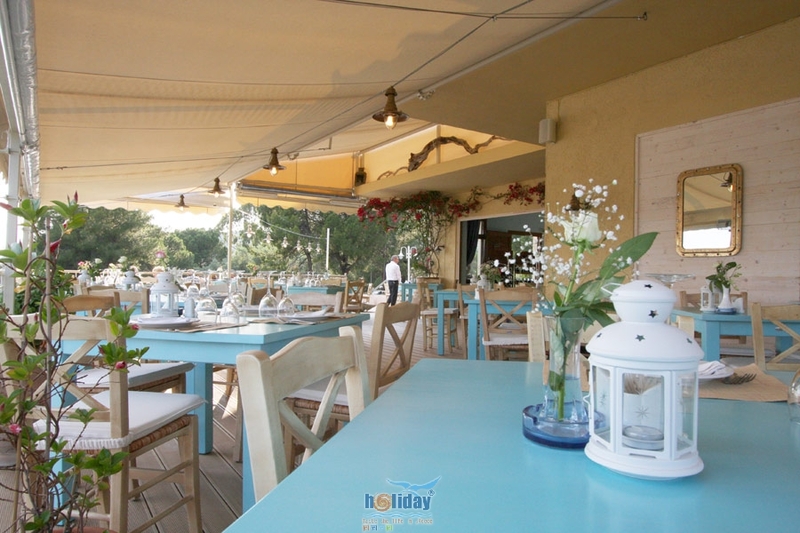 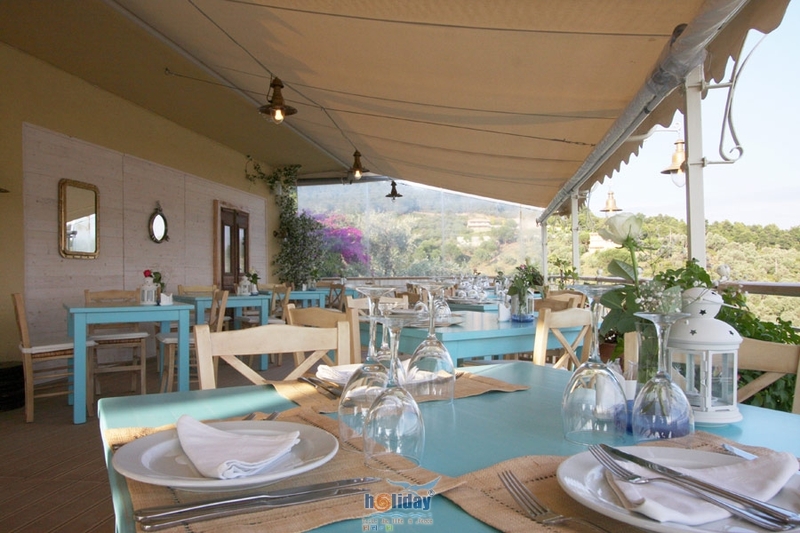 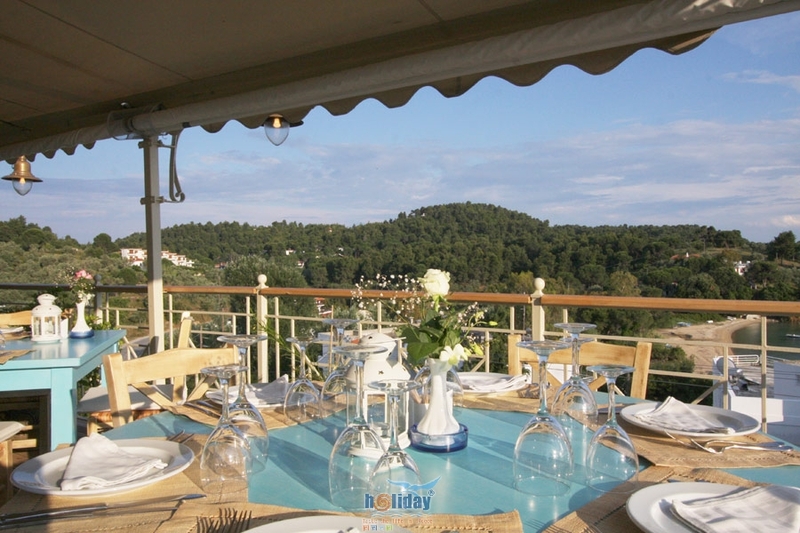 Infinity Blue Restaurant is considered to be one of Skiathos finest restaurants. 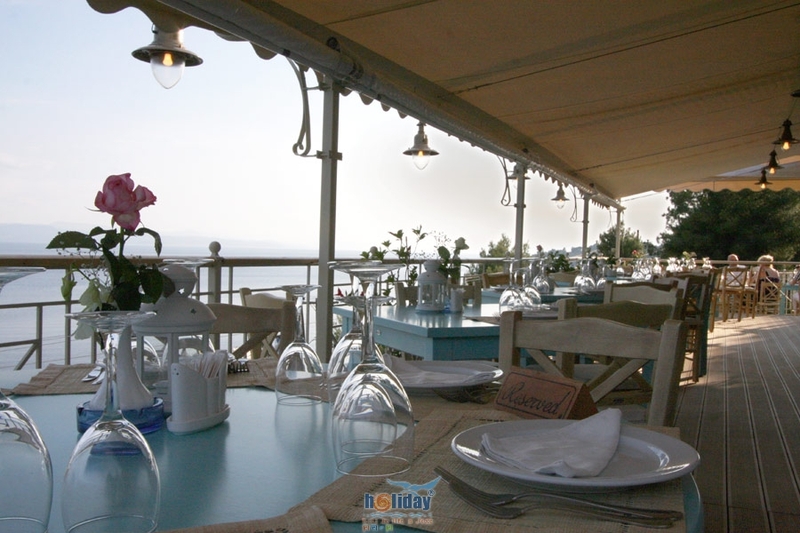 Our location is high above Kolios bay providing breathtaking views of the Aegean Sea. 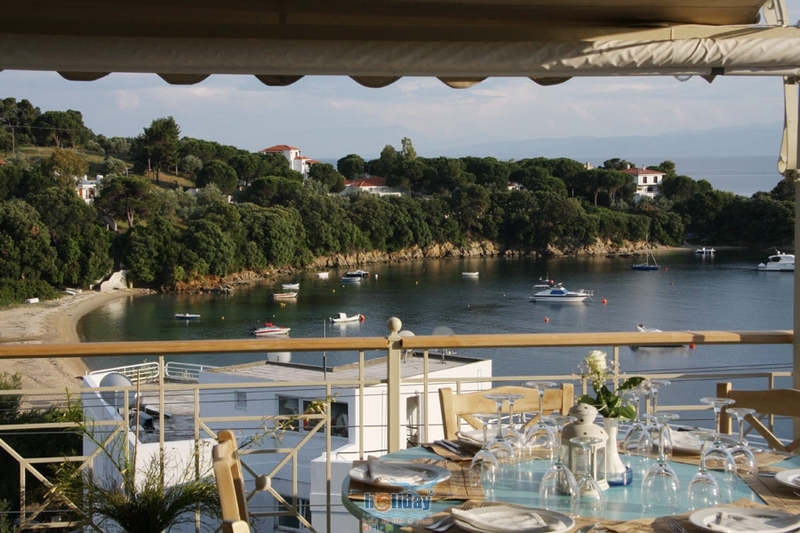 Our competitive advantage is that we provide affordable luxury to everyone. 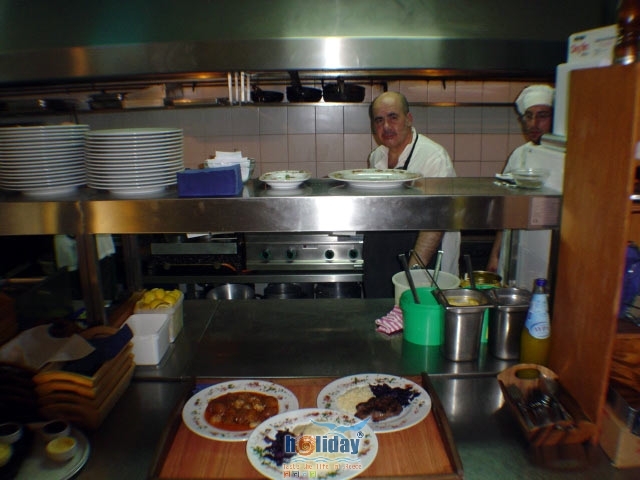 Our Chef, Mr Paparizos Dimitris is well known about his exceptional seafood creations, such as lobster and fish. 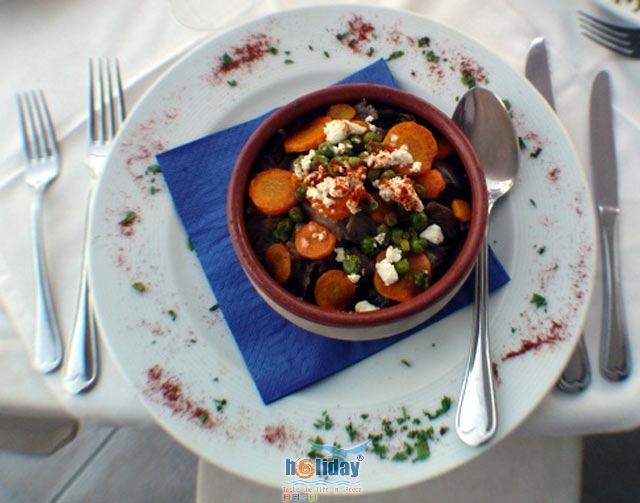 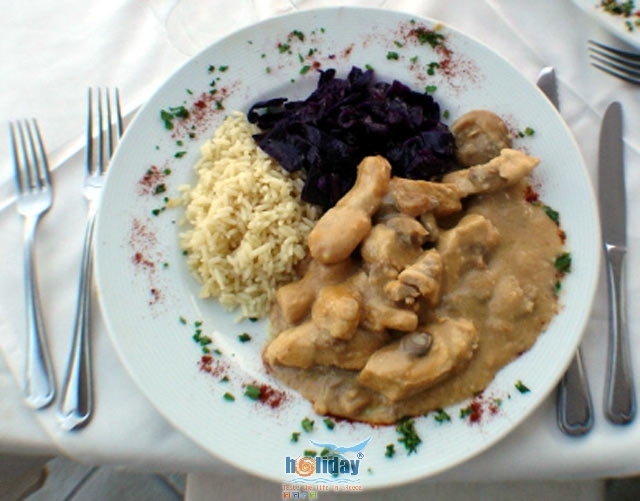 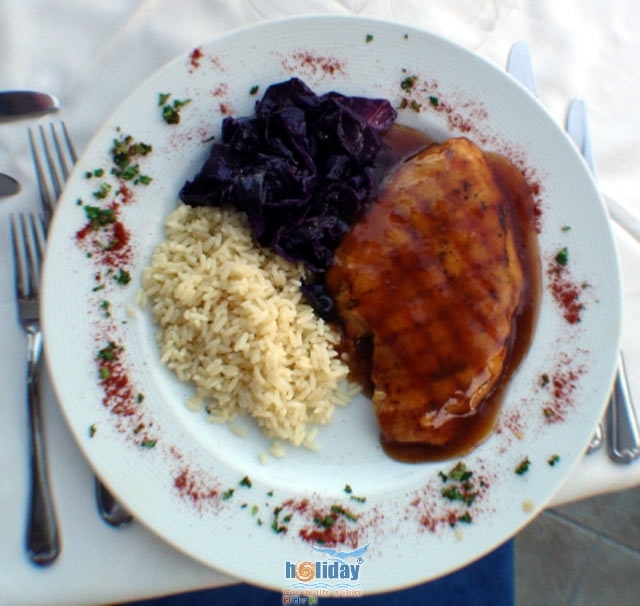 The rest of the menu ranging from Greek and Continental cuisine are always sensational and of the best quality. 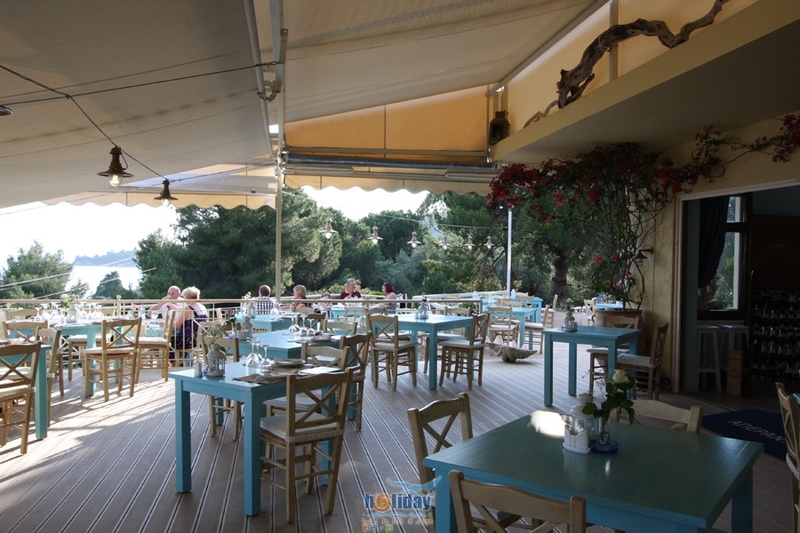 The restaurant�s owners Konstantinos and George are waiting to welcome you to Infinity Blue and look forward to make your holiday on Skiathos Island one�s in a lifetime experience..
Infinity Blue Restaurant is located by the main road that connects Skiathos Town to Koukounaries Beach. 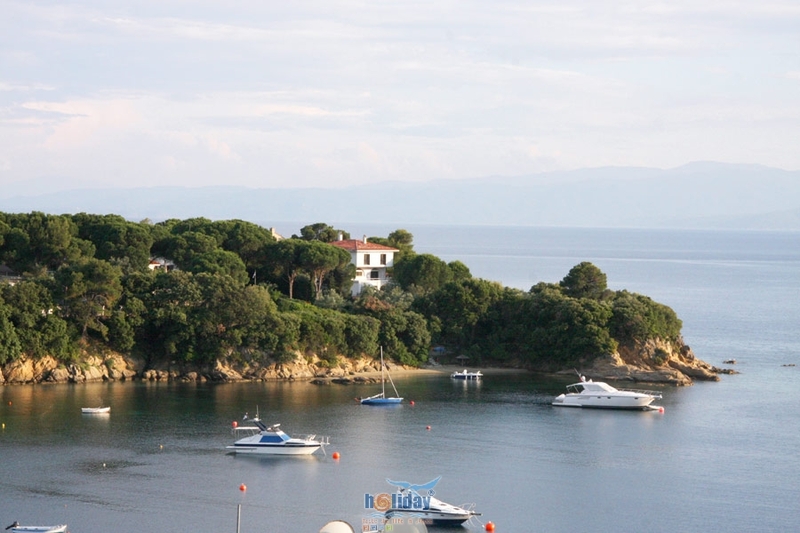 As you are driving towards Koukounaries beach you will see us on the right hand side of the road, in Kolios Area, just 6,00km from Skiathos town. 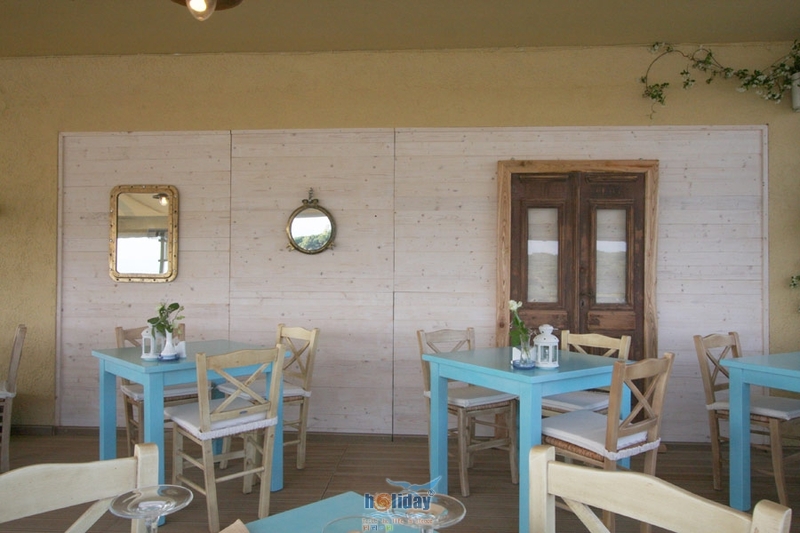 If you take a taxi from Skaithos town expect to pay for the taxi about 9,00 euros one way. 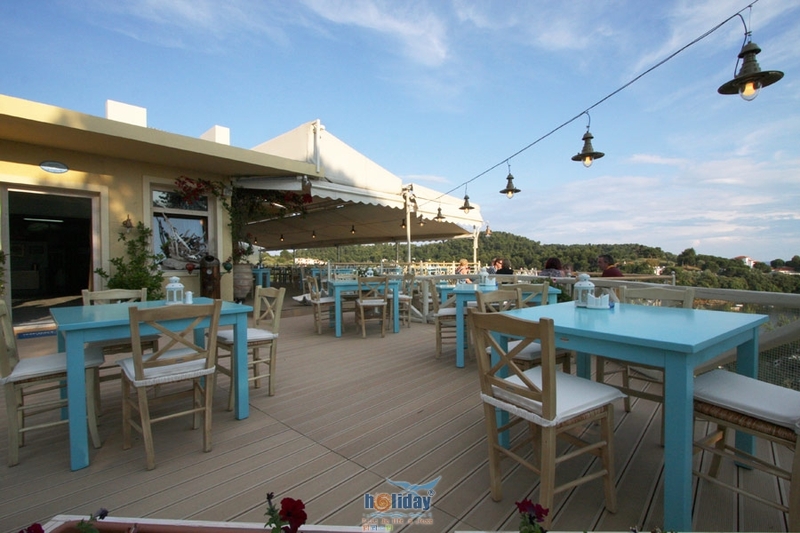 If you are coming by bus, we are located exactly oposite bus stop 15.